(NaturalNews) -- Why do some people get lung cancer -- even if they never smoke? 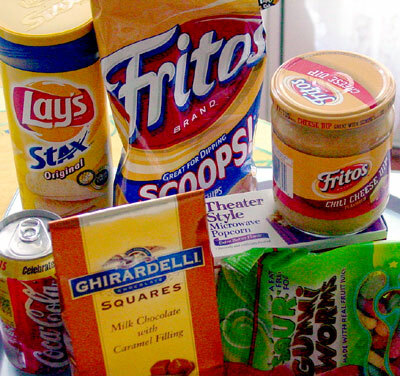 New research suggests eating a lot of processed foods containing inorganic phosphates could be the explanation. What's more, the study also suggests that dietary changes to avoid these chemical additives may play an important role in lung cancer treatment. In research just published in the January issue of American Journal of Respiratory and Critical Care Medicine, published by the American Thoracic Society, scientists from Seoul National University conclude that a diet high in inorganic phosphates, which are found in a host of processed foods including meats, cheeses, beverages, and bakery products, might spur the growth of lung cancer. The researchers also suggest the food additive may contribute to the development of malignancies in people predisposed to lung cancer. Myung-Haing Cho, D.V.M., Ph.D., and his colleagues studied mice with lung cancer tumors for four weeks. The rodents were randomly assigned to eat a diet of either 0.5 or 1.0 percent phosphate, a range roughly equivalent to what's found in most modern human diets that contain processed foods. At the end of the study period, the animals' lung tissues were analyzed to see what effects the inorganic phosphates had on tumors. "Our results clearly demonstrated that the diet higher in inorganic phosphates caused an increase in the size of the tumors and stimulated growth of the tumors," Dr. Cho said in a statement to the press. "Our study indicates that increased intake of inorganic phosphates strongly stimulates lung cancer development in mice, and suggests that dietary regulation of inorganic phosphates may be critical for lung cancer treatment as well as prevention." 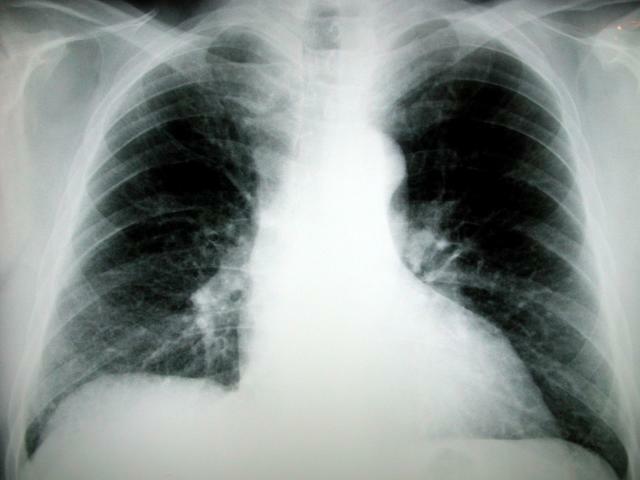 According to the Centers for Disease Control (CDC), lung cancer is the number one cause of cancer deaths worldwide. The American Thoracic Society points out that over 75 percent of lung cancers are small cell lung cancers (NSCLC) and have an average overall 35-year survival rate of only 14 percent. Previous research has shown that about 90 percent of NSCLC appear to be activated by specific signaling pathways in lung tissue. The new study by Dr. Cho and his research team found that high amounts of dietary inorganic phosphates actually stimulate those same cancer-triggering pathways. In a statement to the media, John Heffner, M.D., past president of the American Thoracic Society, pointed out that this kind of research in animals can reveal the complex interactions between host factors and the environment that can result in human cancer. "We know that only some patients who smoke develop lung cancer but the reasons for this varying risk are unknown. This study now provides a rationale for funding case-control studies in humans to determine the potential role of dietary phosphates in promoting cancer," Dr. Heffner stated. While living organisms need a moderate level of phosphate, the use of inorganic phosphates as a food additive to increase water retention and improve food texture artificially has soared over the past decade. That means the average American diet is loaded with excess amounts of phosphates. "In the 1990s, phosphorous-containing food additives contributed an estimated 470 mg per day to the average daily adult diet. However, phosphates are currently being added much more frequently to a large number of processed foods, including meats, cheeses, beverages, and bakery products. As a result, depending on individual food choices, phosphorous intake could be increased by as much as 1000 mg per day," Dr. Cho explained in the media statement. "The results of this study suggest that dietary regulation of inorganic phosphates has a place in lung cancer treatment, and our eventual goal is to collect sufficient information to accurately assess the risk of these phosphates," he said. Smallpox: The Weapom A review of what we know about this deadly virus. Is it gone? Really?